Here’s the latest in our series of gift guides to help you narrow down your options while Christmas shopping. Ahead is our pick of the most wonderful things around for children in the six to eight-year-old age group. 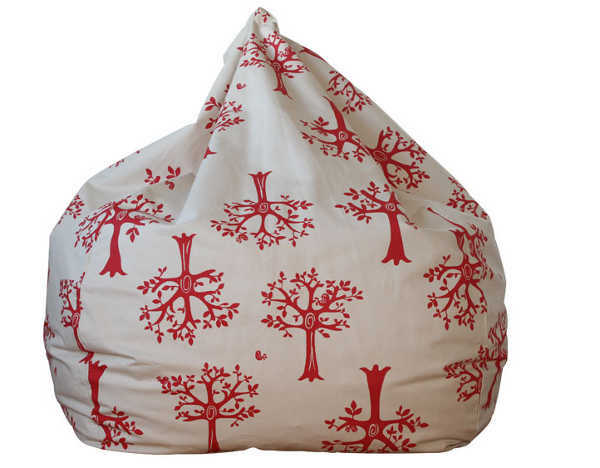 A comfy spot to curl up and read a book is a must for children in this age group, and a Lelbys Bean Bag (above) will turn any unused corner into a cosy nook. When filled these bean bags are ninety centimetres in diametre, and the outer sleeve of the calico bag has a child-proof zip. The patterned covers come in several designs, including Red Orchard and Bluebell Stripes. They cost $99.95 and are available from Lelbys. This is a brilliant gift idea which will keep the kids entertained for ages. 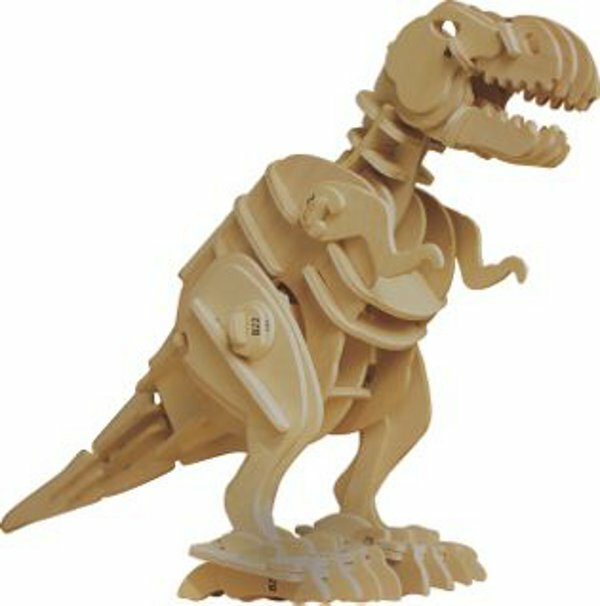 The Walking Mini T-Rex kit has plenty to keep little hands busy. It comes in eighty-four precut wooden pieces, which need to be assembled by a budding palaeontologist (and it doesn’t even require the use of glue!) The 3D puzzle kit includes a small motor which powers the dinosaur – and he’s sound sensitive, so just the clap of hands and he’ll come to life. The kit costs $26.50 from Scallyoop. If a bike upgrade is on the cards for your children, Big W has a really great range. The Huffy Mambo Rock 20” Candy girls bike has classic retro cruiser looks and plenty of comfort for leisurely rides. The Huffy Boys 20” Rush bike has dual suspension and plenty of street cred. The bike are $118 each, and are available from Big W.
These curious little guys make for a stunning Christmas gift. Made from sustainably harvested cherrywood, the Areaware Cubebot is a modern twist on the toy robot. The hardwood frame can be posed and moved, and when play is over, he folds down into a cube. 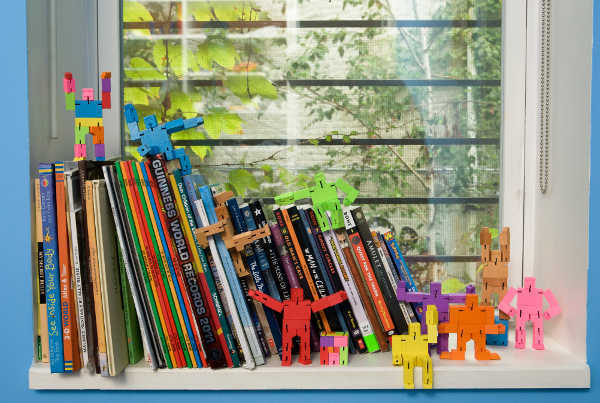 The Areaware Cubebot is $44.95 from The Little Homewares Company. They’ve also just got their hands on Areaware Micro Cubebots – a smaller and more colourful version of the original for $14.95. You simply can’t go wrong with a new backpack for the new school year. The Gooie Large Backpacks will also get you through the summer, with plenty of room for beach gear. And the backpacks come with a handy drink bottle. 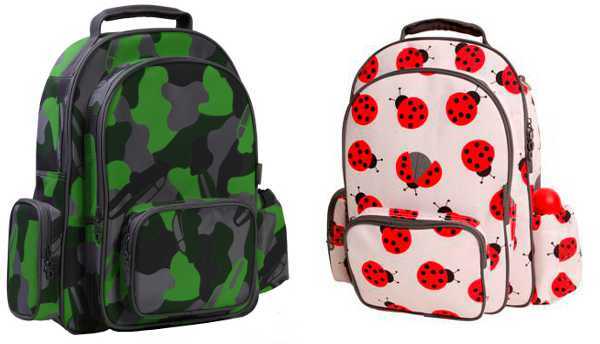 The padded shoulder straps ensure maximum comfort and the double zips means kids can open up their backpack in a hurry. There are plenty of pattern options available from Haggus and Stookles, including ladybirds for the girls and car-mo for the boys. The backpacks are $59.95. If you want the ultimate in wow-factor on Christmas morning, we’ve found just the thing! It’s called a Pavillion, and is an absolute show-stopper. It’s handcrafted and comes with a matching floor quilt to ensure hours of fun in comfort and style. The striped roof, tassels, detachable curtains and appliquéd floor give a luxurious feel. It’s the most beautiful place for a tea party or for chilling out. 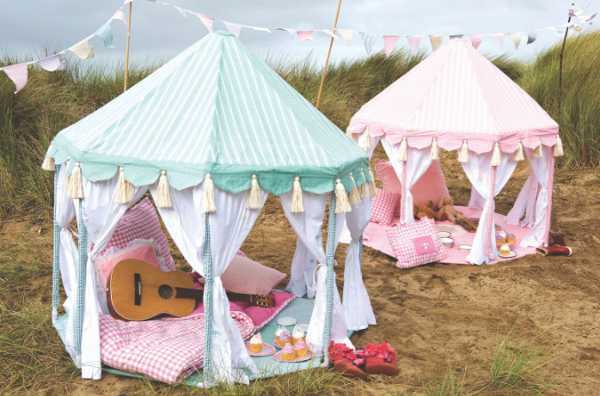 The Pavillion costs $600 from Petit, with free shipping within Australia. I love giving a new set of pyjamas as a Christmas Eve gift. It means a lovely new set of pjs for Christmas morning photos! 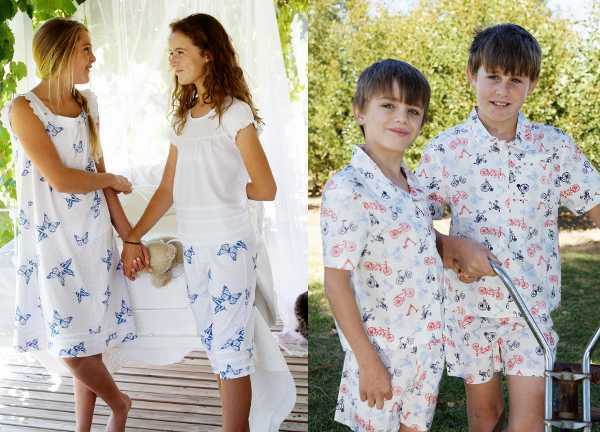 Four In The Bed has a beautiful array of nightwear for kids, including the Jess Blue Butterfly nighties. It’s sweet and cool for summer, and costs $39.95 in sizes four to twelve. The Charlie Ready Set Go pyjamas are a classic cut and style, and are adorned with all manner of things that move. They cost $44.95 and are available in size four to twelve from Four In The Bed. How about some old school fun? While the high-tech toys may get much of the glory as Christmas gifts, there’s nothing quite like some good, old fashioned games. 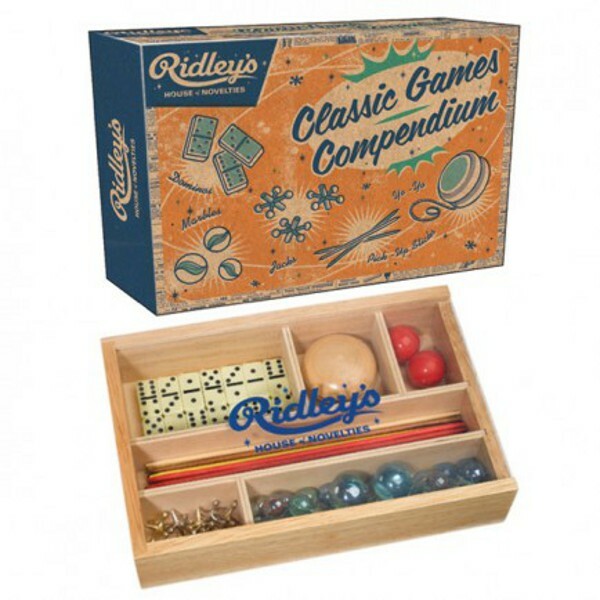 The Ridley’s Classic Games Compendium contains traditional kids’ games like dominoes, pick-up-sticks, marbles, bouncing balls, playing cards, a yo yo and jacks, all in a beautiful vintage box. It’s $39.95 and available from Lark. Finally, if a beautiful, new Christmas outfit is on the cards, stunning new Australian label Udder has a host of sublime outfits to please both fussy parents and fashion forward children. 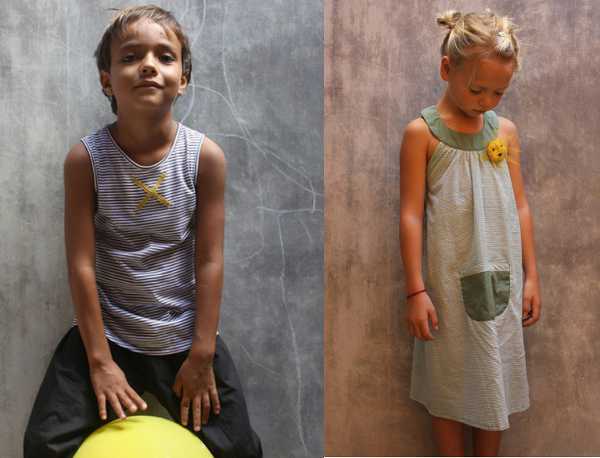 Scorching temperatures on Christmas Day will be met with cool and calm in the boy’s Cross Singlet, for $35. It’s available up to size eight. A pretty frock never goes astray during the holidays – and the Sunshine Dress is a thing of beauty. It’s $60, and is also available up to size eight, directly from Udder.